Motorist Roy Warne told the BBC on Friday that he helped Prince Philip out of his Land Rover through either the sunroof or the windscreen after it came to rest on its side in Thursday's accident. 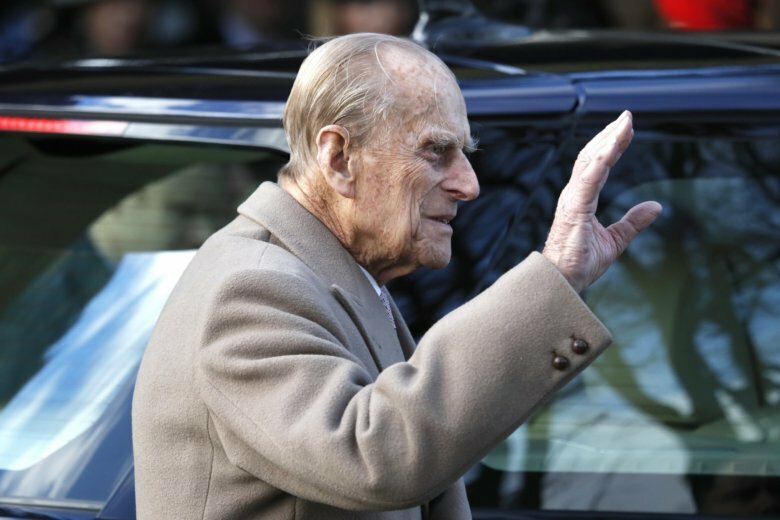 LONDON (AP) — Queen Elizabeth II’s 97-year-old husband Prince Philip was recovering at the royal Sandringham estate after the Land Rover he was driving rolled over on its side in a collision with another vehicle. Witness Roy Warne told the BBC he was driving home from work Thursday when the accident involving Philip’s Land Rover and a compact car unfolded in front of him shortly before 3 p.m.
“He was obviously shaken, and then he went and asked if everyone else was all right,” Warne said. Buckingham Palace officials said Friday that Philip has a valid driver’s license and has complied with all Driver and Vehicle Licensing Agency requirements. “We are aware of the public interest in this case, however, as with any other investigation it would be inappropriate to speculate on the causes of the collision until an investigation is carried out,” Norfolk Constabulary said.